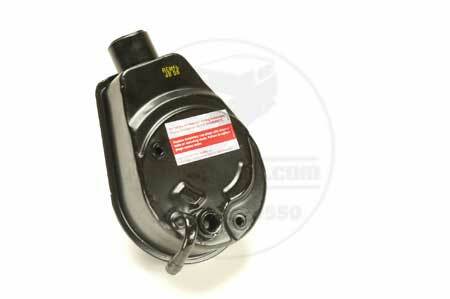 Now you can get a new steering pump and get back that new-car handling. This is a rebuilt unit, and does not come with a reservoir or pulley. You will need to reuse your old reservoir tank and sheave. Be sure to provide us with the year of your vehicle when ordering. You will need a special tool to remove and install the old pulley, or a hydraulic press. If you do not have either of those, we can provide the tool you need to complete the job. Call us for details. There is a core charge, which is refundable upon receipt of your old unit.